M. I. Shanavas Kerala member of parliament (MP) profile and biography is given here. M.I. Shanavas is an established leader of the Congress party from the state of Kerala. He is currently a Member of Parliament, representing the Wayanad Lok Sabha Constituency. He has over 30 years of experience in the politics of the state, having represented the people at both state and national levels. M.I. Shanavas is a noted Politician from the state of Kerala. He entered into the political landscape of the state after joining as a student activist. Currently, he is the member of Indian National Congress, the grand old political party of the country. He was the student leader in the Kerala Students Union. Later, he moved to the parent party and held various posts there till he was moved to the Kerala Legislative Assembly as a member first. Later, he became the Member of Parliament, representing Wayanad Lok Sabha Constituency. M. I. Shanavas was born on September 22, 1951 to a Muslim family settled in Kottayam district of the central Kerala. His parents were Ibrahim Kutty and Noorjahan Begum. He was initiated into the world of letters at a local mosque nearby. After the initiation into the world of letters, he was put in a local school for his formal education. Later, he joined in a Government High School by his parents so that he could finish his high school education without any break. In the early period of his school education, he was not interested in the political activity that was taking place at his school premises. During his time, there were lots of agitations to fight for the students' cause. On such occasions, he was made to sit before the dais where the student leaders were narrating their version of the issues relating to students. After hearing the topics discussed by many talkers from various parties. He began to get attracted to the ideologies propagated by Kerala Students Union. Hence, he joined that party to participate in various student agitations. By the time he reached the tenth standard, he was fully engaged in the student welfare activities. Though he was fully engaged in agitations, he did not let his academics go for a big six. He devoted enough time to learn the topics he was supposed to learn for attending the SSLC examinations. Due to the timely preparation, he was able to write the SSLC examinations well. When the examination results were announced, he was able to find himself in the winning list of candidates. In fact, he was able to come out with good marks and grades. Subsequently, M.I. Shanavas joined a pre-degree course offered by a reputed junior college in the region. While choosing the stream of study for his pre-degree course, he took into account the career in politics he was trying to shape for himself. Hence, he settled for the arts stream that gave him enough space for manipulation of his academics without spoiling it. After the prudent selection of the course, he carefully distributed his time properly between his political activities and academic preparations for the pre-degree examinations. Armed with timely preparation, he went ahead and wrote the examinations well. This enabled him to pass the qualifying examination with flying colors. The success at the education front emboldened him to take up the bigger challenge of getting a degree. With this in mind, he joined the Kozhikode-based degree college by the name Farook College. The eventful years in this degree college had in fact shaped his political career that was to take him to the highest level when he was selected to become the Member of the Parliament. For his degree course, he took up English literature as his area of specialization. Due to his prudent dividing of his time between the political activities and the academics, he was able to do well in the degree examination. After the successful completion of his degree examination, he took up his postgraduate course in the same area of specialization at the same college. At the postgraduate level also he could get good marks and grades. After some time, he joined the LLB course in Government Law College in Ernakulam city. He joined the professional course to get a good mileage in the political career he was shaping for himself. When he got time to look into the personal life, he decided to marry as per the wishes of his parents. With their blessings, he entered into an institution of marriage with his heartthrob Jubairiyat Begum. In their married life, they have been blessed with two children – one son and one daughter. M.I. Shanavas has got over 30 years of experience in politics. He started laying the foundation for his eventful political career by actively indulging in student politics. After having joined the students' wing of the Congress party, he put his heart and mind out to organize student political movements and educate the students the viewpoint of his party. Slowly, he rose through the rank and file of the students' wing of the party to occupy its decision-making body. Later on he was moved to the Youth Congress, the youth wing of the Congress party. At the youth wing level, he was given the task of managing the student organizations during various agitations that aim at the welfare of the students and youths of the state. His contributions at the school and youth wing levels were noticed and adequately awarded by the state unit of the Congress party. Accordingly, he was elevated to the Seva Dal level. At the Dal level, he was involved in the social welfare activities. 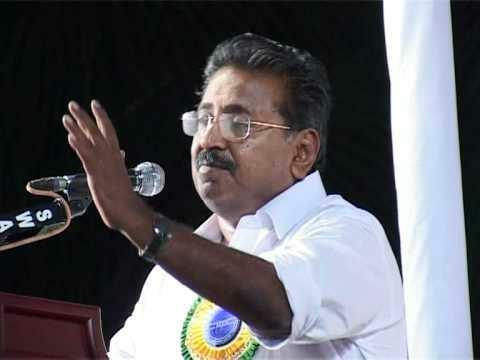 Due to a good track record of Shanavas, then leader of the Kerala Pradesh Congress Committee K. Karunakaran brought him to the Pradesh Congress Committee and gave him a number of tasks to accomplish at the state level. As the office bearer of the party, he readily took up these assignments and overhauled the party set up at the grass root level. So, he was elevated to the post of the General Secretary of the Kerala Pradesh Congress Committee. He was with the Pradesh Congress Committee occupying various posts till he was given the ticket to contest in Kerala Legislative Assembly elections. A number of times, he was selected to the Kerala Legislative Assembly. During the tenures as the honorable Member of Legislative Assembly, he raised the issues faced by the people of his constituency. At different points in time, he represented different constituencies in the Legislative Assembly and fought for their cause. Due to his relentless raising of issues concerning the people of his constituencies and many of the development works were implemented for them. His tenures in the Legislative Assembly were therefore fruitful ones from the standpoint of the people who elected him to represent them. After successfully representing the people in Kerala Legislative Assembly, the members of All India Congress Committee decided to offer M.I. Shanavas a chance to represent the people at the national level. Accordingly, he was given a chance to contest an election to the Parliament in consultation with the state unit leaders. When the report was sought by the high command of the Congress party, the state party leaders gave a positive report on him, citing the good works done by him. Hence, he contested the general elections for the parliament in the parliamentary constituency of Wayanad. There also he continued his good work, raising the issues of the people who voted for him at his parliamentary constituency in Kerala. M.I. Shanavas participated actively in discussions to appraise the House of Commons about the problems faced by the people of his constituency. This was taken note of by the Speaker of Lok Sabha. As a result, he was made a member of a committee on Commerce. As an honorary Member of Parliament, he visited many countries to study the governance followed there. The countries visited by him include Germany, Oman, Kuwait, Saudi Arabia, Russia, U.K and U.A.E. His visits to the Gulf countries were mainly aimed at the studying of the issues faced by the people of Kerala working in these countries. He tried to co-ordinate with the Government of India through its External Affairs Ministry. As a result, some of the outstanding issues relating to these people were addressed and the procedure for getting the work visa to these countries got streamlined. M.I. Shanavas has been an ardent reader of books since his childhood. His reading habit got a further boost when he started reading heavy topic books to understand the culture of the people. He had to do this partly because of his arts stream at degree and postgraduate levels. Often the knowledge gained through the reading of books had helped in the past to give an effective speech to woo the audience. The other pastime activities of this great leader are watching movies and television. He is often seen discussing the movie-related topics with his friends. He closely follows the developments in the country and abroad through the news events that are broadcast on popular television channels. He also takes an interest in other entertainment programs aired by the popular television channels in the state. M.I. Shanavas is a noted Political Activist from the state of Kerala. Currently, he represents the Wayanad Lok Sabha Constituency in the Parliament. He is also a member of Indian National Congress. He rose through the rank and file of the party by showcasing the good work to the senior members of the party. He came to the political scene in the state through the active participation in student-centered agitations organized by Kerala Students Union. He was finally moved to the Kerala Pradesh Congress Committee as an office bearer to look after the works of the students' union, Youth Congress and Seva Dal. He occupied various posts offered by the state unit of the party till he was elected to the Kerala Legislative Assembly as an honorable member. Later, he was given a chance to go to the Parliament by fielding him as a candidate in the Wayanad Lok Sabha Constituency.